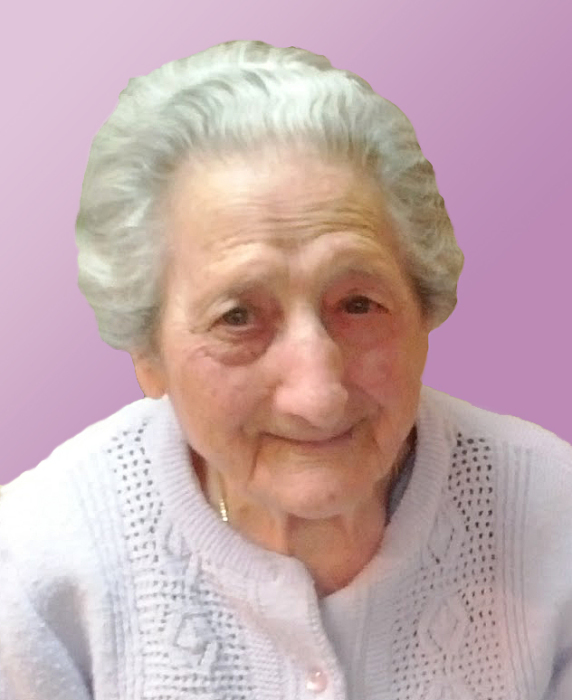 Lenuccia Spina (nee D'Agostino), 96, of Jersey City passed away peacefully on Friday, September 7, 2018. Lenuccia was born in Ginestra, Degli Schiavoni, Italy and immigrated to Jersey City in 1971. Lenuccia enjoyed making clothing, cooking, working on her family farm in Italy and watching WWF with her grandchildren. Lenuccia was the beloved wife of the late Michele Spina; devoted mother of Giuseppe and Josephine Spina; loving grandmother of Michael and Maria Spina, Joe and Juli Spina, Antonio and Cristina Spina; cherished great-grandmother of Michael, Massimo, Anna and Isabella Spina; dear sister of the late Italia Spina, Adelina D'Eramo and Giuseppe D'Agostino. Also survived by many loving nieces and nephews. Visitation is on Sunday, September 9, 2018, 4:00pm to 8:00pm at RIOTTO FUNERAL HOME & Cremation Company, 3205 John F. Kennedy Blvd., Jersey City, NJ 07306. Funeral will begin on Monday, September 10, 2018, 9:30am at the funeral home. Funeral Mass will follow 10:30am at St. Nicholas Church, Jersey City. Interment will take place at Holy Cross Cemetery, North Arlington.